Isn’t this the most divine children’s luggage you’ve seen? This fabulous Australian brand has just launched – and we can’t wait to show you what they have on offer. We love a good piece of children’s luggage at Babyology. It has to have the right balance of style and function, with that irresistible cute factor that attracts children (so they’re willing to lug it around an airport!). 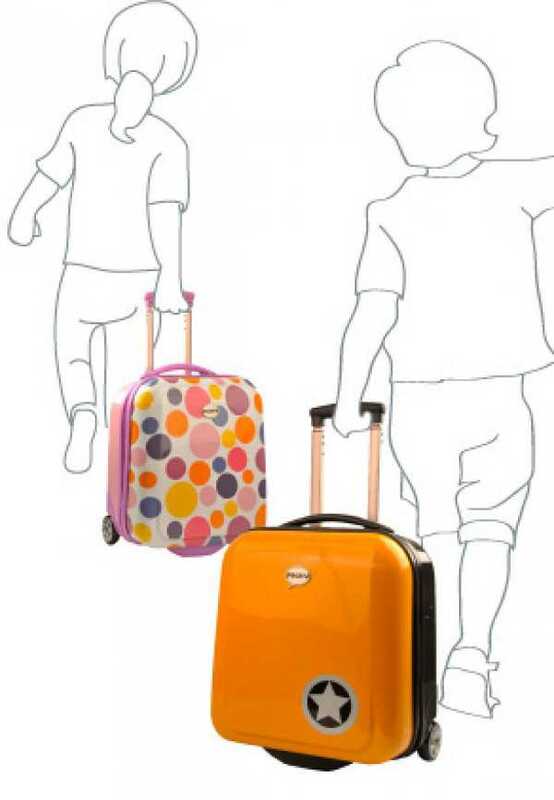 Geelong-based Pack’d has burst onto the market with a flurry, launching this stunning range of kids’ luggage. The specs are impressive – with each piece of luggage measuring forty-two centimetres high, forty centimetres wide and twenty-two centimetres deep. With the handle extended, the luggage stands at ninety-nine centimetres. There’s a gorgeous range of colours and patterns available, and most are unisex. I love the Dashing Hound, with its long sausage dog snaking down the face of the luggage. There’s also Dot to Dotty, Humbug and Superstar. The outer shell of the luggage is ABS plastic and is perfect for kids, as it’s strong, light and easy to wipe clean. The interior is lined, also making it easy to keep clean. Each piece weighs just two and a half kilos, leaving plenty of room (and weight allowance) to stack it with much-needed items. These also make perfect overnight bags for children off to spend some school holiday time with grandparents or friends. The luggage can be ordered directly from Pack’d, and each piece costs $159.